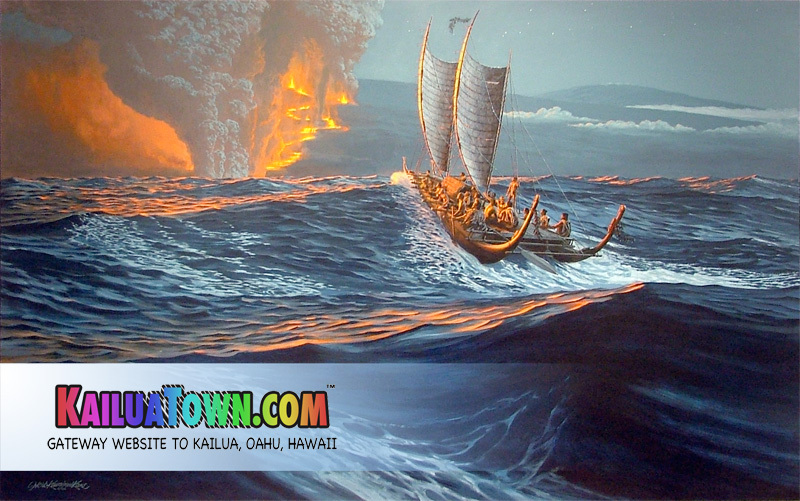 KailuaTown.com - Gateway Website to Kailua, Oahu, Hawaii "#6699CC"
Everything About Kailua is  Live Aloha! Kailua's Gateway Website leads to a Hawaiian Paradise. Located East of Honolulu just over the Ko'olau Range is KailuaTown and Kailua Beach. The white sandy beach — over two miles long — is sandwiched between green grassy Kailua Park and the aqua-blue Kailua Bay. The gentle tradewinds serve up a warm and pleasant climate to enjoy while surfing, swimming, wind surfing, snorkeling, diving, kayaking, boating and so much more to enjoy. The ample beach allows you to stretch out, get a real tan — the kind people back home will envy. This is only part of a Kailua Vacation — as you meet locals you'll feel the real warmth of "Live Aloha". This spirit will leave an impression in your memory that'll last a lifetime — but you'll plan to come back again for more. We welcome you; that's what we do best — in Kailua, Oahu, Hawaii; we "Live Aloha". Mahalo! Copyright © 2003-2016, KailuaTown.com  All Rights Reserved.